If you spend at least a few days on Twitter you will probably come to a conclusion that Twitter’s user base is: 50% bots, 10% br1tn3y fuck3d accounts 39% Social Media Experts and 1% users / sales people / marketers. OK, these numbers might be a bit exaggerated but it’s the image of Twitter a normal user sees nowadays. I’m not trying to say there is no such thing as “Social Media Expert” or that SMM doesn’t work. I’m just trying to say there is way too many of them that present themselves as the expert in social media while their accounts, actions and interactions show you the opposite. Oh come on! How many tools do you need to run a Twitter account? All you need is already on the Twitter.com. You can use some sort of client if you’re going to Tweet from your mobile but that’s as far as I’d go. Most of the Twitter tools you see out there will not save you any time or make your life any easier at all. I know, trust me, I tested almost every single one of them. All of these social media websites are made for users, not marketing superstars. You already posses all of the knowledge needed to run a stupid Twitter account. It’s a dead simple thing: You have a box where you put up to 140 characters and hit the “Update” button… And yet they (“Social Media Experts”) have the ability to make hundreds of articles every day about how complex this dead simple thing is. 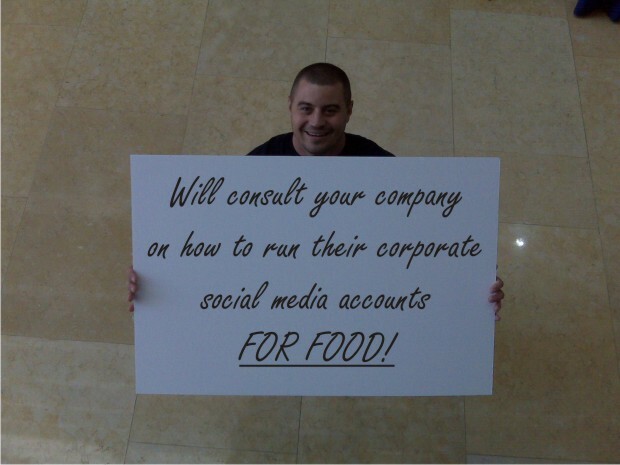 A typical internet user is more then qualified to run your corporate Twitter account. It might take a few days before this person learns a few tricks and figure out how to gain an audience but reading hundreds of blog posts on that topic will only get this person even more confused. It will give out the impression that if they don’t follow some guidelines set by “Social Media Superstars” their business will fail at social networking. As I said at the beginning of this article, it’s not that social media experts are useless, it’s just that most of them are not experienced in their field at all. They have great theories, but theories in this case don’t pay the bills. I’d advise you to hire a social media expert when: you need a dedicated person to run your social media accounts and work with the rest of your marketing team to fulfill your end goals. I’d advise you not to hire a social media expert when: you think you need someone to teach you how to use Twitter. If you like what you see, you should follow me on Twitter (and by me I mean our corporate account that I run). Thanks for the CC image left on Flickr by TheArtGuy, I made this cool image in this blog post from it. Helpful information. Nice one and I find it a very good article with a direct thought to anyone reading this article. Keep posting! Haha, good stuff! I totally agree – social media has far to much hype and as far as the experts are concerned – those who can’t do, teach! How long will exist SMEs? That is real question? If can owners monetize their efforts? We are really sick from SMEs. People don’t behaviour on soc nets like we expects. They are unpredictible and they don’t use SMEs networks daily. SMEs can be good PR but to get monetize from them it is not easy. Great post Toni, I think many people really are sick of SMEs. I agree there are too many self proclaimed SMEs, however, I don’t agree that most business professionals know how to use Twitter. Web 2.0 is a totally different concept, and a number of traditional marketers and business professionals are still stuck in Web 1.0. They have not really gotten their arms around the shift of engaging consumers and prospects. There is a whole lot of hype around Social Media, and I agree with Daniel and Jelena that without a Strategy you’re just wasting your time. So if your social media (“guru”) consultant isn’t helping you develop the strategy for your business, move on…there are plenty marketing experts out there well versed in Social Media that are helping clients develop and implement effective strategies as well as train their staff. Thanks for sharing your experience. I totally agree, there can be a positive ROI in SMM but it’s not guaranteed, just like in any other form of advertising. Ha ha most amusing with some spot on acerbic observations. I agree there are too many people claiming to be SMM/social media/SMO [edit at will] experts who are just shameless freeloaders hoping to drag some poor unexpecting punter into paying for a service they don’t need. I read an article today about how SMM was more effective than SEO for links and traffic building. No data, no validation, just a poor factless claim. The problem is, some people believe the hype. However, I also know some very astute people who can help business (small and large) to make sense of what social media is and how it can be integrated into their existing business strategy to enhance customer service, customer communication, reputation monitoring, online PR and marketing. If someone asks me “should I be using social media”, I say “I don’t know”. Of course I go on to explain why that is my answer but the fact is, social media is not the cure to all business woes, it is simply another communication channel that people can use to increase customer engagement and hopefully influence sales as one of the results. Is there a guaranteed ROI? No. Can there be positive ROI? Yes. Just because idiots exist doesn’t make something worthless. I think your summary of when to and when not to is absolutely spot on. You can “listen” to the stream on the web as well or even better (you get background images) as on any Twitter client. if you’re just hitting twitter on the web, and not using a client, then essentially you are yelling in a crowded room and not doing the most important thing you should be doing on twitter: listening. great 🙂 Not running a corporate account and not tiding social media to the companys employees on deeper level is mission critical regarding the SME hiring and noise that is created around SM strategy. Is there a need? I think there is, but only for those who are not willing to experiment a bit and are willing to hire someone for the good cause – the transfer of experience (not for thinking out loud about best ways to use twitter but real hands-on experience). I like your post, but disagree that all you need can be found on Twitter.com. I use several tools and clients that give me better control of how information is organized and how I receive updates. For example, I use Seesmic Desktop for most of my tweeting. But I can also use it for monitoring for specific keywords, so I can see who’s tweeting about a keyword when they tweet it. Twitter.com cannot notify me when a keyword is used. Also, Seesmic had built-in, private lists (just as Tweetdeck has groups) that I used waaay before Twitter came out with their own version of lists. I think one thing that’s sorely missing a lot of the time with so-called SME’s is strategy. That said, a lot of clients only want to talk tactics. It’s the SME’s job to steer them away from the “shiny new toy” syndrome and make sure their strategy is in place.